home › posts › 8 Incredible Animals Discov... ten trees planted for every item purchased. I bet if you were to ask the person sitting next to you if he/she thought that there were any animals left on the planet that haven't been discovered, you would most likely get the answer, "Of course not!" Well, actually, there are! What taken so long to discover them is due to the rough terrain of their habitat, the vastness of the area, their small size, or the fact that they look very similar to their relatives. In fact, of the 10 million estimated different species on Earth, only about 2 million have been discovered! In 2016 alone, scientists discovered over 130 new plant and animal species. It was no easy task, but I have chosen 10 of what I think are the most amazing animals that were discovered in the last decade. 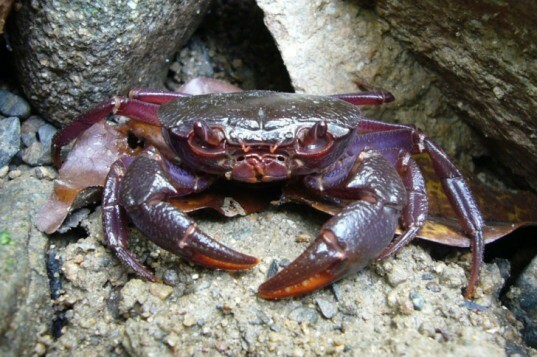 Discovered on the Filipino island of Palawan, this colorful crab can't be found anywhere else on earth. Its scientific name is Insulamon palawanese. Even though it's just been discovered, it's already made its way onto the endangered species list! (insert sad face emoji here) Mining projects in Palawan are what threaten this beautiful creature. 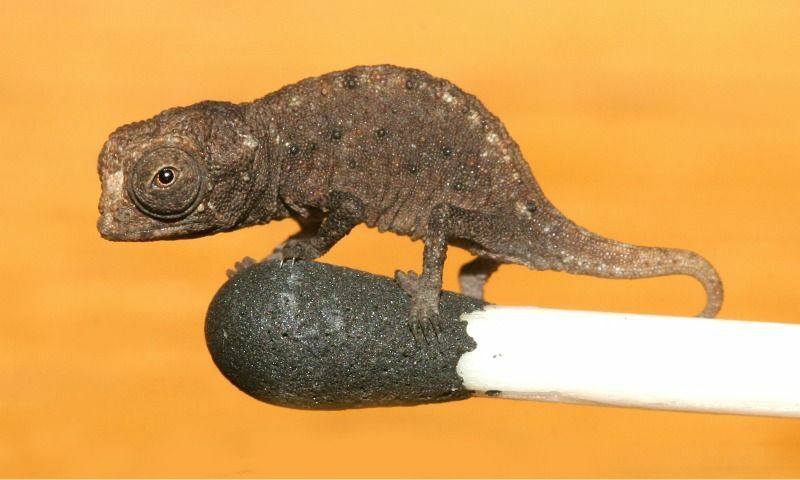 This little cutie that was discovered on Madagascar, is considered the smallest chameleon in the world. It's just .63 inches long, which makes it about the same size as a match head. Just the head of the match, not the whole thing. The sad story of this little critter is that its habitat is threatened by the logging industry. It's not on the endangered list yet, but if things don't change, it will be! While it may look like just another leopard frog, it isn't! Looks can be deceiving, you know. 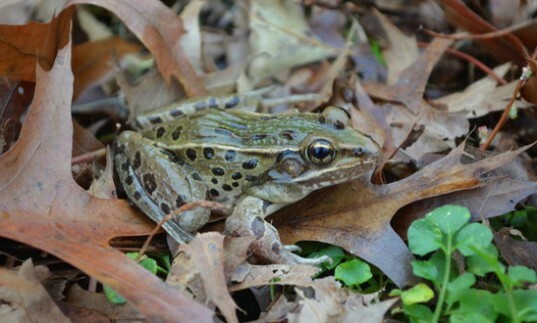 This frog's story began on Staten Island, New York when a scientist noticed that the croak of this frog is different from other leopard frogs. The DNA was tested and VOILA! A new species was found hiding in plain sight! 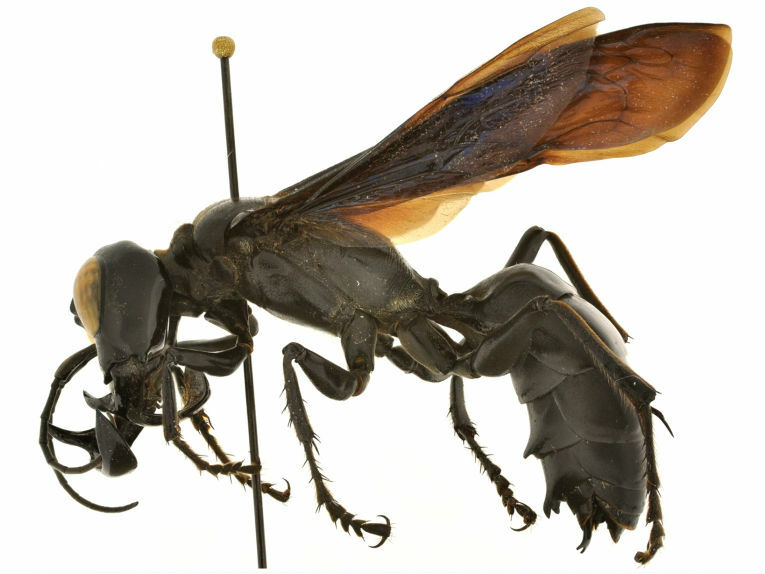 This giant (in comparison to other wasps) critter was discovered on the Indonesian island of Sulawesi and is named after the half-man/half-bird mythical creature, Garuda. It measures 2.5 inches long and has jaws so big they wrap around the wasp's head when closed and when opened, are longer than the wasp's legs. Scientists aren't 100% certain what the jaws are used for, but speculate that the males use the jaws to hold the females in place while mating. I'm glad I'm not a female Garuda Wasp. 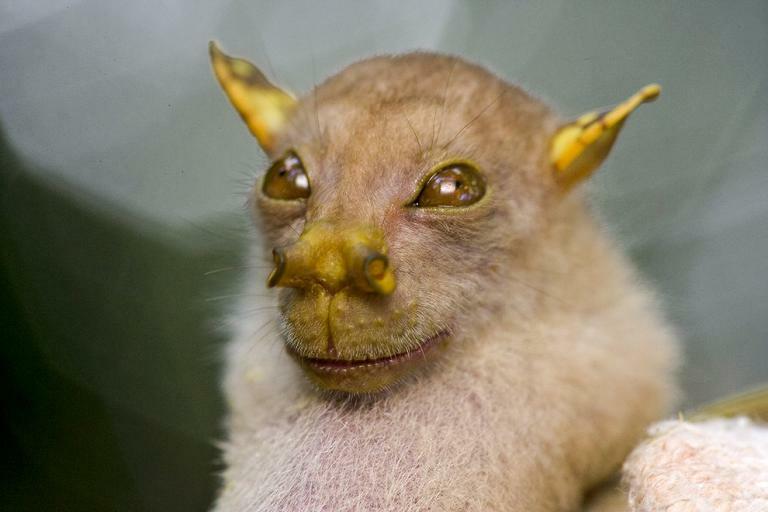 Discovered in the deep interior of the forests in Papua, New Guinea, this bat is actually a variation from the tube-nosed bat species. It doesn't officially have a name yet. But, looks like Yoda it does. So, I'm going to call it the Yoda Bat! 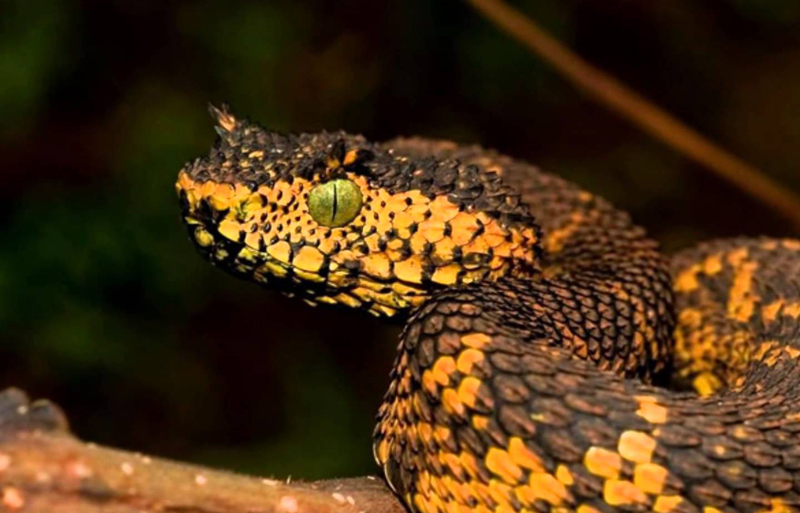 This beautiful creature (I like snakes, so it's beautiful) was discovered in Tanzania. When grown, it can be 3 feet or longer in length. It may be poisonous, but scientists don't know this yet for certain. Don't worry, though. The researchers who discovered it say it's a very mellow snake. It was named after one of the researcher's daughter, Matilda. Awwwwww I think that's sweet! The African Dwarf Sawshark was discovered completely by accident by a fisherman off the coast of Mozambique. It feeds by swimming into a school of fish as fast as it can, stabbing some of the unfortunate fish with its "sword," then dining on them at its leisure. 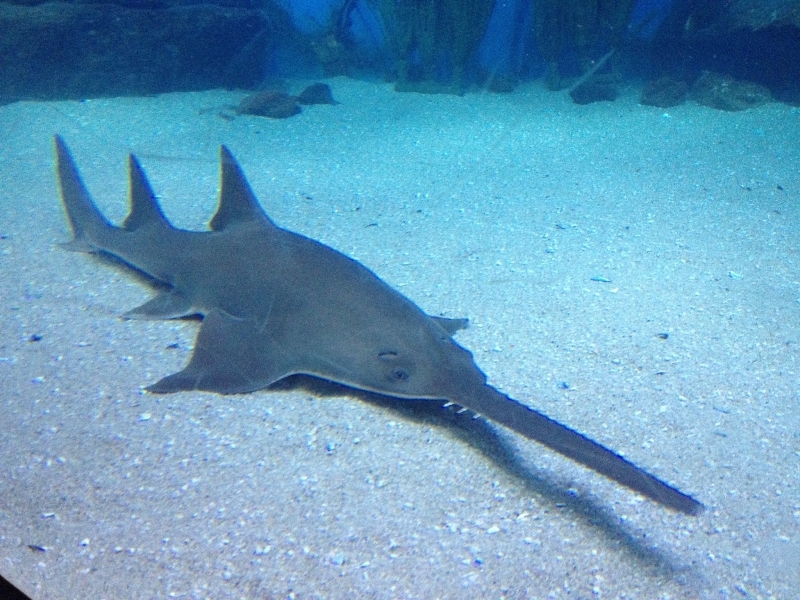 The discovery of this shark brought the total number of sawshark species to 7! The more the merrier, I always say! The Psychedelic Gecko (Cnemaspis psychedelica) can only be found on the tiny island of Hon Khoai, Vietnam. 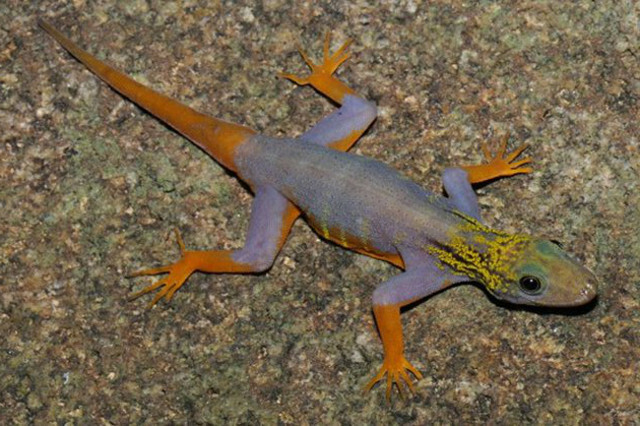 Like a few of the other newly discovered species on this list, this rock gecko is on the endangered list for several reasons: it's a slow breeder, it's very, very picky about where it lives, and it's really cool. Being really cool isn't a good thing in this case because that makes it a target for the pet trade. Please don't let the ads for "captive bred" psychedelic geckos fool you!!!!!!!!!!! There are no known captive breeding programs for them. The pet trade, coupled with loss of habitat make these beauties very endangered. As of 2016, there were only 500 - 700 left in the wild. The post 8 Incredible Animals Discovered In The Last Decade appeared first on tentree.